No doubt you will have your own tradition...Our dogs are an integral part of our family so as with every occasion, we like them to be included in the festivities. Follow these simple tips to keep your pooches safe and happy this Australia Day! Australia is known for its great barbecue culture and it is a great way to spend a relaxing time with family and friends. Our dogs are part of the family, so they will be right there with us amongst the action! This has nothing to do with all these delicious smells usually coming from the BBQ…Those aromas will get them drooling and overwhelm them so much, that they totally forget about safety - a bit like us, really! 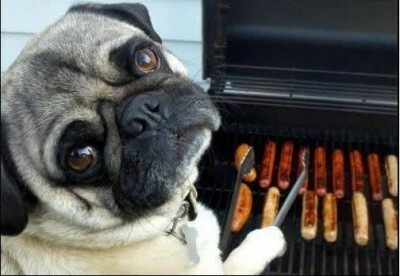 BBQ food often has a lot of seasonings including garlic, salt and onion, which are sadly all toxic to dogs. Keep people food and drinks out of reach at all times and tell your guests not to feed your pets! For a more comprehensive list of foods toxic to dogs, check out this article. Vegemite sangas, snags, lamingtons or pavlovas may be our food of choice on the 26th of January but they should not get anywhere near your dog’s mouth: the salt and sugar content in these foods will not go well in their stomachs and ingredients like chocolate are deadly. What could be more Australian than a Lamb and Gravy Aussie Chomper! Made with a mouth-watering blend of minced lamb, 10 hour slow-cooked roast lamb, dehydrated home-made lamb gravy and aromatic chopped rosemary this is a treat experience not to be missed! Quantities are strictly limited so get some for your best mate before they are all gone... These limited edition treats are available for both dogs and cats. These Sweet Roo & Parsley Chips from L'Barkery are a rich source of dietary fibre and they are enriched with antioxidants and essential nutrients. 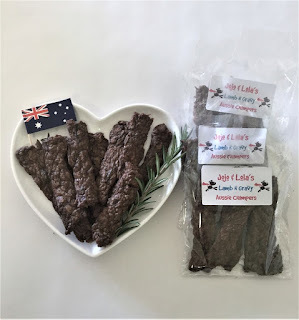 Kangaroo is high in protein - essential for optimal dog health whilst sweet potato contains large healthy amounts of potassium, magnesium and iron for an all-round happy and healthy pet. Not only are they great for sensitive stomachs but the addition of parsley freshens your dog's breath! 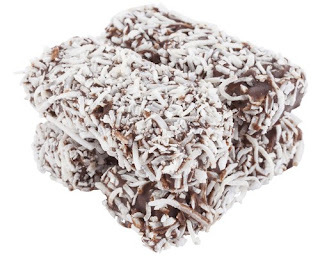 These scrumptious lamingtons by Pooch Treats contain absolutely no preservatives and only natural colours and flavours. 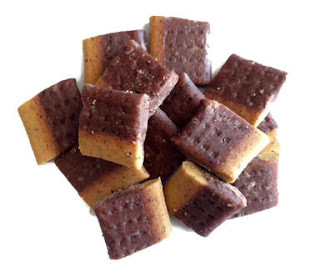 Now you can spoil your dog with something that is nutritious and delicious. Made by an Australian family-owned business, these lamingtons for dogs look like the real deal - they made us feel a little peckish despite the heatwave this week! 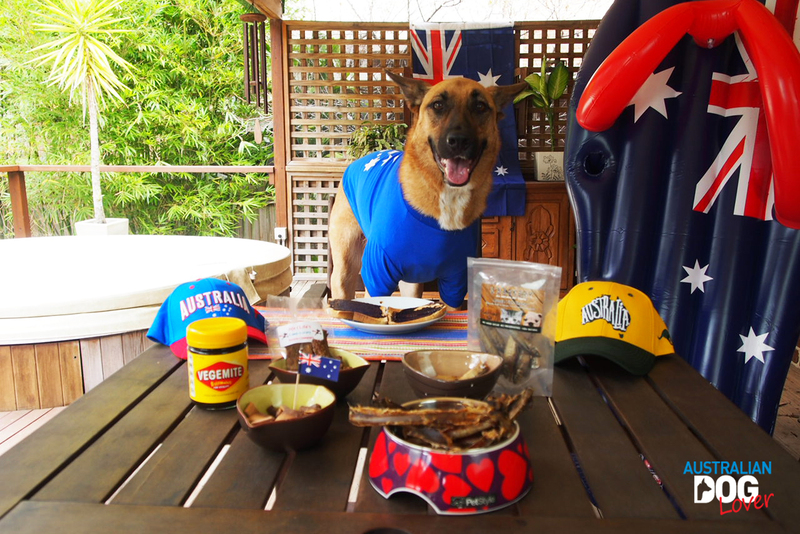 Some people go a little crazy on Australia Day, dressing up in blue-red-white or green and gold all over! Some dog owners think it’s a fantastic idea to dress their pooches up too. While most of our four-legged furry friends are suited with being dressed up, others don’t like it and can get distressed. We know our own dogs will only tolerate wearing pet apparel for a short time whilst we take some pics but certainly not the whole day and I have given up on them wearing any sort of hats! 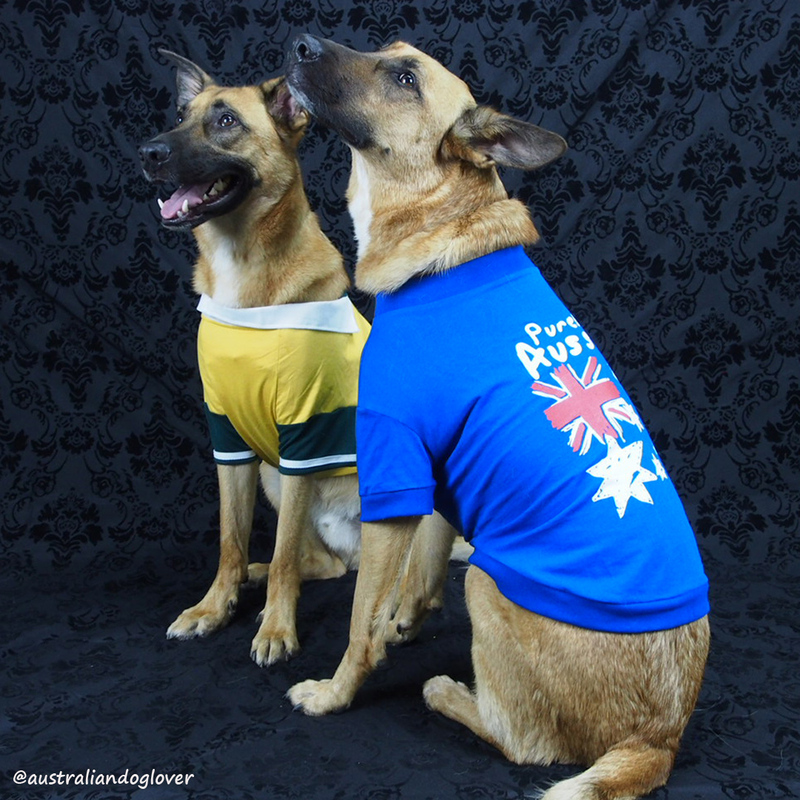 If your dogs don't mind playing dress-ups, here are some great options for Aussie-themed costumes and accessories. 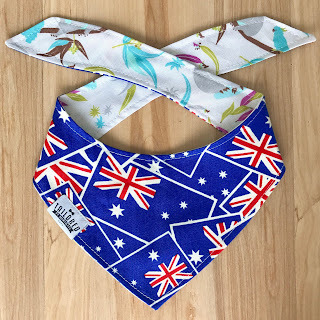 The G'Day dog bandana by Tailored by Marshall is perfect for showing your Aussie pride and celebrating Australia Day in style. It features a patriotic flag print with a gorgeous koala and native flora print on the reverse. Available in five sizes to suit breeds from Toy Poodles up to Labradors and there's even an extra small size for your cats! Aussie Aussie Aussie! 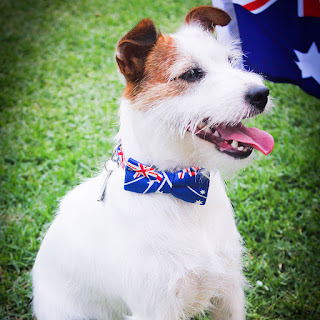 Your dog can celebrate wearing this Blue Aussie Dog Bow Tie and Collar Set from Dharf. 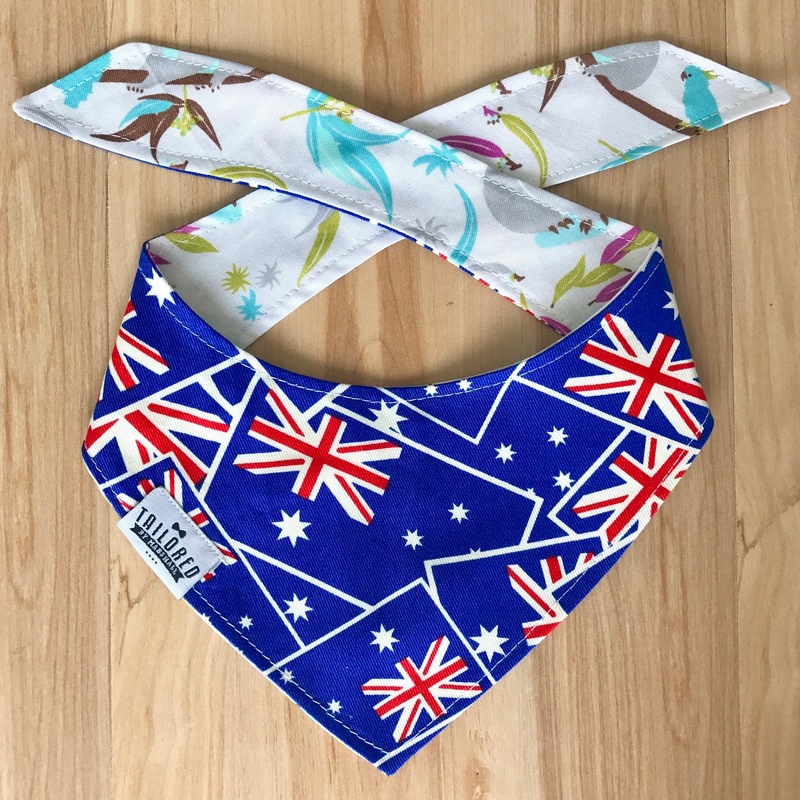 This Aussie-inspired look for your pooch is handmade with 100% cotton. The Velcro enables you to easily remove or attach the bow tie and the collar has a lockable buckle. This fashionable set comes in four sizes to fit Chihuahuas up to Great Danes! Buy this to be extra patriotic or as a souvenir for overseas friends. Other options include Aussie-themed dog T-shirts or a Wallaby-themed Rugby jumper that you could use for any other patriotic occasion! The Purebred Aussie shirt by More than Paws comes in seven sizes to suit puppies or toy breeds right up to German Shepherds or Labradors. You're having a pool or beach party? Lucky you! However our furkids are just like human children and must be supervised at all times when they are around water. Some dogs are natural born swimmers whereas others are not. Keep an eye on your dogs the whole time, especially if they are getting old, are weak swimmers or suffer from a particular health condition. There are now PFDs (Personal Flotation Devices) and watercollars available for dogs to keep them safe on a boat or at the beach, by the pool etc. 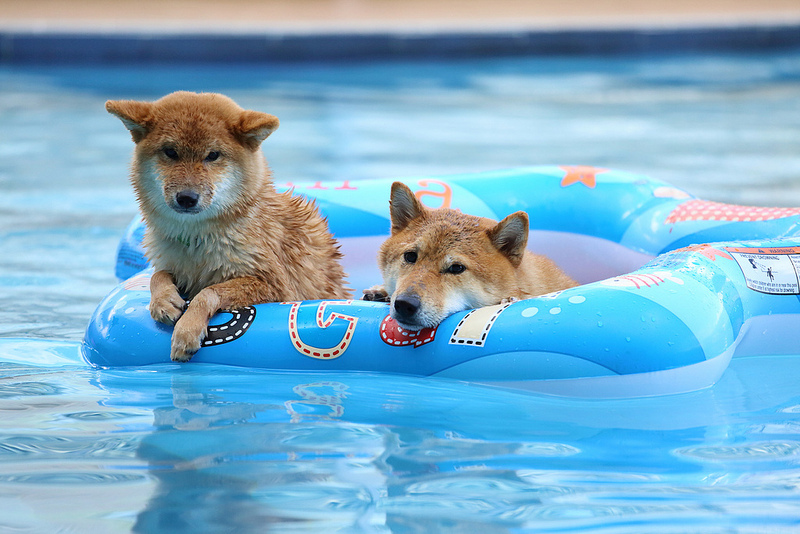 Dogs may also try to drink pool water, which could contain salt or chlorine, so ensure that they have access to a constant supply of fresh drinking water, especially on very hot days to avoid heat stress. There are plenty of dog-friendly beaches and parks that allow you to take your dogs for a stroll, chase balls or other dogs! Take plenty of drinking water along for your pooches. If you don’t supply them with fresh water, some dogs will try and drink from stagnant puddles or the ocean, which is very unhealthy for them! Instead, take a collapsible water bowl with you or for longer trips, the Torus water bowl cleverly seals water in its reservoir walls during transport. For suggestions of other useful items to pack on your outings, read our "Top Accessories for Summer 2016". Plenty of fireworks will go off around Australia that night and whilst they are enjoyable to some of us, they can be very stressful and frightening for dogs. Many dogs suffer from noise phobia in general and they will react exactly the same way when confronted with thunderstorms, therefore much of the same advice applies. Ensure your dog's identification is up-to-date in case they escape from your home in fright. Try to keep your dogs safe indoors with access to fresh water and why not keep the radio or TV on to drown out those loud noises? 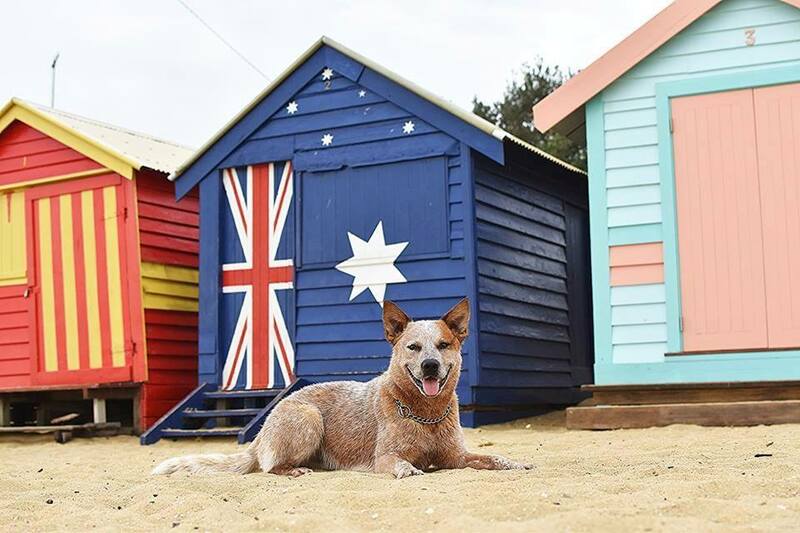 Our pack wishes you a safe and happy Australia Day! 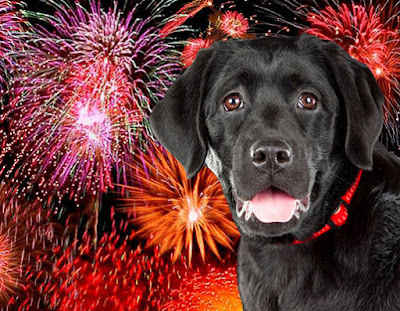 How will you include your pooch in this year's celebrations? Let us know by posting your comments below or feel free to share your pics on our Facebook wall.